R. Keeth Matheny is a national award-winning teacher, speaker and author. 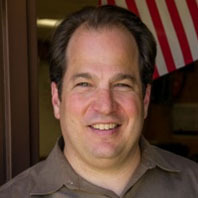 Matheny pioneered Austin Independent School District’s innovative social and emotional learning course for freshmen, MAPS (Methods for Academic and Personal Success), which helped reduce freshman failures by 41% and discipline referrals by 71% at Austin High School in Austin, Texas over a four-year period. In addition to classroom teaching, he is a frequent public speaker and trainer in Social Emotional Learning, relationship-based instruction, student engagement and character education. In the past four years, he has presented to over 8,000 teachers, spoken at more than a dozen national education conferences and at two congressional briefings in Washington D.C. Additionally, his work has been featured in national webinars, magazine articles, and journals of best practices. The National Dropout Prevention Network recently awarded Matheny with their 2015 Crystal Star Award for Excellence for tireless and effective efforts to support student success.